During his time working as a professional family lawyer, Mr. Darren M. Shapiro has seen numerous step-parents who desperately want to find ways to become more legally involved within their step-child's life. Often, in these circumstances, it's possible for step-parents to apply for guardianship, so long as the parties involved in that child's life who already have parental responsibility agree to give their consent or without their consent under certain sets of facts. Although, in Long Island and New York, there isn't a great deal of difference to be identified between someone with custody over a child, and that child's guardian. However, in other States, the differences can be far more prominent. Generally, when Mr. Shapiro assists a client in gaining "custody" of a child, the definition of that word is used to refer to that party's status as a "parent", or grandparent in certain circumstances. On the other hand, the title of "guardian" can be given to just about any relative, including grandparents, aunts and uncles, or even non-relatives if the situation allows. Legally, the term "guardianship" will refer to an individual's obligations to looking after a child and the best interests of that child, and according to the law of New York, any adult relative, friends of the family, or agent from a protective agency can petition for guardianship. It is also possible for children older than the age of fourteen to enter a legal petition to have someone else appointed as a guardian. Unfortunately, as Mr. Shapiro often explores with her clients, if you want to share Parental Responsibility as a step-parent, it's not as simple as just filling in a series of forms. Rather, there are procedures to follow that can be quite complicated, and require the assistance of a professional family attorney. At the same time, if you want to ask the court for parental responsibility, you may need to gain consent from people who already have that responsibility, which can mean handling the situation with a very particular degree of sensitivity. Although parental responsibility can be shared with more than two people - meaning you won't be taking it away from another person, it can still feel as though you are stepping on an ex-spouses toes. To gain parental responsibility as a step-parent, one possible route is tell other people with parental responsibility what you intend to do, and hopefully get their agreements to the fact that you are making an application. Working with a lawyer such as Mr. Shapiro can be particularly useful, as not only can they help you to find and make the right applications, but they can also assist you with legal advice if you think your application may be opposed by someone. Because guardianship and custody are terms that are defined quite differently in States apart from New York, it's often useful for clients dealing with Mr. Darren Shapiro to think about the possibility that they and their family may move away from New York when deciding whether to petition for guardianship or custody. It can be worth thinking cautiously about the laws in different locations, as well as the fact that health insurance plans may differ according to your status as a guardian, or custodian. In some circumstances, what is known as "testamentary guardianship" can be given to step-parents for children through written agreements. Obviously this is another matter that requires careful consideration and help from a family lawyer, but generally, it is possible for a standby guardian to be designated in cases where the current parent or guardian has a progressive chronic disease, or fatal illness. In circumstances such as this, the person who has been defined as a "standby guardian" should be available for the child in any future situation, in case of tragic circumstances regarding that current guardian or custodian. These positions can be incredibly important, and often consider step-parents. Most experts regard step-parents to be an important emotional and financial resource for children to access through their childhood growth. In certain circumstances, the court may decide that it is within the best interests of the child to be placed with step-parents in the event of a neglect case. However, it's important for clients to recognize that receiving guardianship over a child during a neglect case doesn't necessarily mean that they will receive permanent guardianship. Indeed, the placement of a child can be altered easily between court appearances. If a step-parent truly wants to gain a more significant role in a child's life, then adoption is the best possible solution. Unfortunately, step-parent adoption can be incredibly complex, but it is possible with the help of an experienced lawyer such as Mr. Shapiro, to gain the parental rights that any other parent would have in New York. 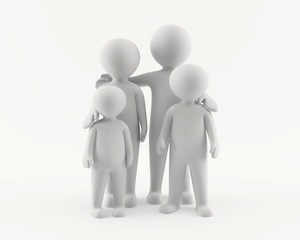 Frequently, this is regarded as an important matter to consider for both gay and straight couples alike who want to form a legal connection with their step-children. When a step-parent receives the parental responsibility that they apply for, they receive the same abilities and parental rights as any other biological parent. If you would like to learn more about the details surrounding step-parents, child custody, guardianship, and adoption, please feel free to get in touch with us, either in office, or through a telephone call. Also, if you would like professional legal help from Mr. Darren Shapiro, please feel free to reach out and schedule your free half-hour consultation at your earliest convenience. It would be our pleasure to speak with you regarding your circumstances.